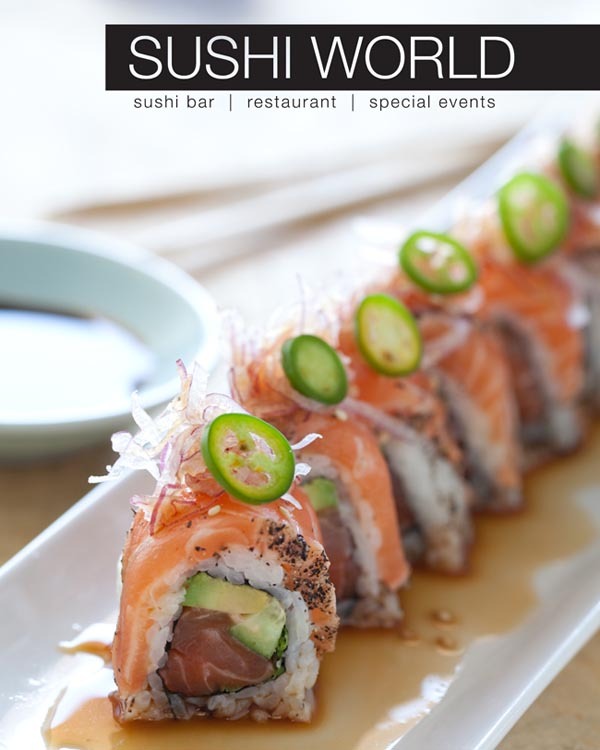 With a center of salmon, cucumber & avocado, the Atlantic Dragon Roll is topped with another piece of delicious salmon that's lightly peppered, a slice of a serrano pepper, red onions and a little bit of ponzu sauce to tie it all together. It's great to get after lunch or right before Happy Hour. Yeah, you should come in and get it right now. Everybody makes their Manhattan Rolls differently but we believe we make the Manhattan Roll the best! 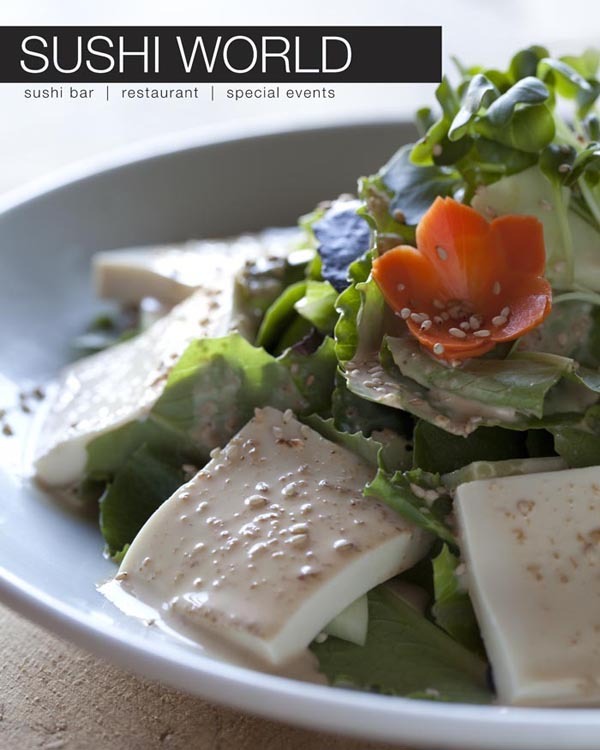 Delicious spicy yellowtail and cucumber in the middle, it is topped with finely chopped radish, masago and a mustard soy dressing. Come on in & try it out today! You'll see what we mean. 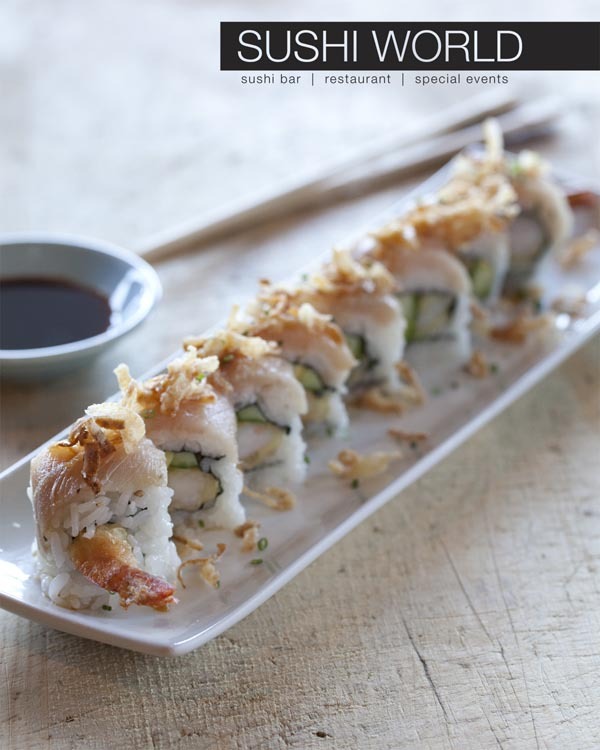 White Dragon Roll consists of a center of shrimp tempura, cucumber, avocado and is topped with albacore & fried onions. Served with ponzu sauce, it's so delicious, you won't notice the racist undertones. Topped with serrano peppers, red onions & a slice of peppered tuna, the Black Dragon Roll also features a center of a generous helping of our spicy tuna, cucumber & avocado. 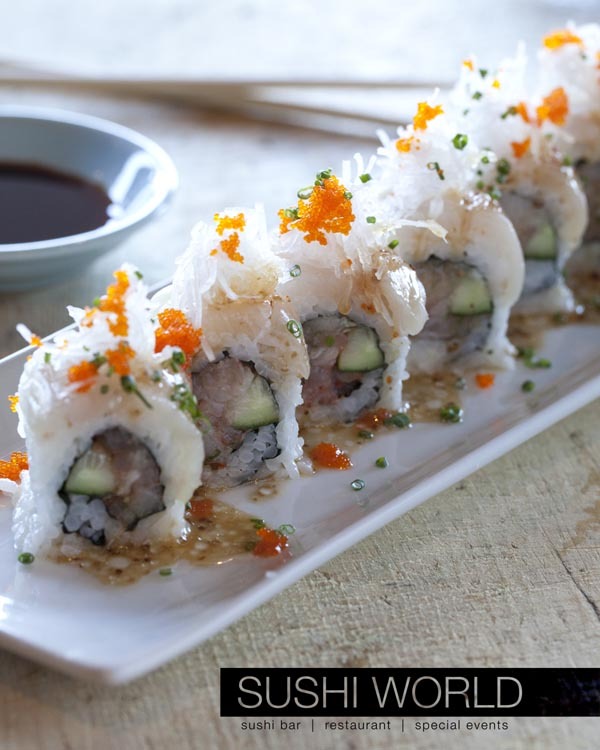 The flavors of this roll are all tied together with a light drizzle of ponzu sauce. 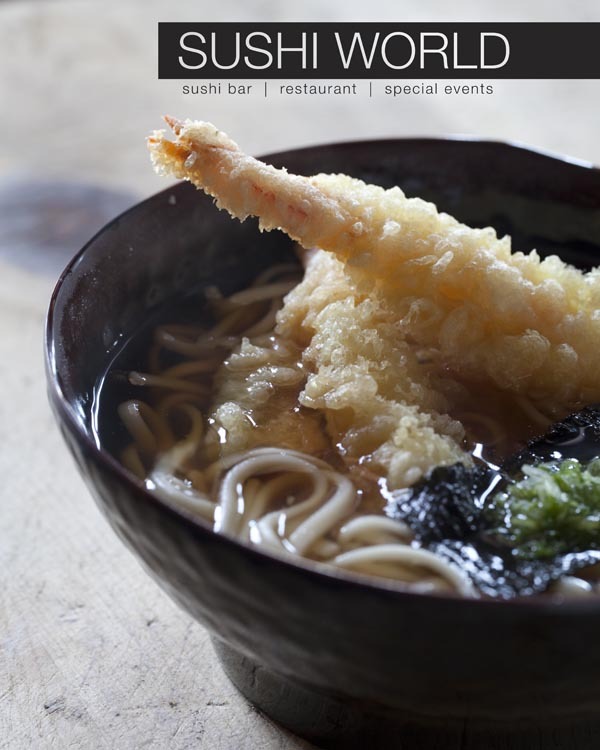 Come on in & try it out today for lunch, happy hour, or dinner! $11.50.